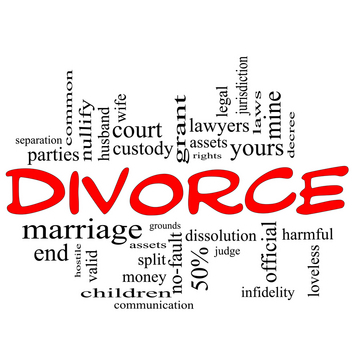 Evidence Category Archives — DuPage County Divorce Lawyer Blog Published by Naperville Family Attorney — Kollias & Giese, P.C. 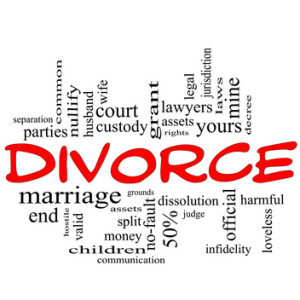 It is no secret that emotions run high during a divorce or custody proceeding. Sometimes parties seek orders of protection from one another to prohibit acts of abuse or harassment from occurring. Chris and his girlfriend Rhianna are having an argument about who will have custody of their daughter after they split up. Chris gets really angry, punches Rhianna in the face, and smashes her face on the dashboard of his car. In turn, Rhianna files for an emergency petition for an order of protection against Chris. In court, the judge orders Chris to stay away from Rhianna. Furthermore, he is prohibited from communicating with her, except regarding issues related to their daughter. A week later, Chris calls Rhianna and when she answers, she clicks the “record” button on her iPhone. Chris proceeds to tell her how sorry he is and how he just wants another chance. He says “I love you, I’m coming over right now to show you how much I love you and you better let me in, or else.” When she hangs up, Rhianna calls the police, plays the recording for them, and has Chris arrested for violating the order of protection. Prior to March 2014, Rhianna would not have been able to use that recording to prove that Chris had violated the order of protection by harassing communication. The old version of the Illinois Eavesdropping Act provided that a person could be arrested for recording someone, private or public, without their knowledge or consent. The law was one of the most restrictive in the United States. The law not only restricted recording of private individuals but also public individuals and occurrences. As a result, under the old law, it was illegal to record, for example, public debates, protests, or interactions between the public and police officers. Question: Can your prior acts of violence, abuse, or harassment be used against you in an order of protection hearing? Answer: It depends on which side of the litigation you are on. An order of protection is a civil remedy in which a person can ask a judge for protection from an abusive family member or significant other. Generally speaking, in order to obtain an order of protection, a person must show that he or she has been abused or harassed, and that such abuse or harassment is not likely to stop unless the court takes action. An order of protection can help to stop abuse and prohibit contact as well as make someone stay-away, attend counseling, pay child support, or vacate your home, among other things. If a person violates an order of protection, he or she can be arrested and charged with a crime. Because orders of protection often entail allegations of violence, it is not unusual for each of the parties to want to talk about all of the bad things that the other person did in the past. As an example, let’s assume that Britney files for an order of protection against Kevin. Britney is therefore the “petitioner,” and Kevin is the “respondent.” In her petition, she details five prior incidents over the last few months in which Kevin has physically abused her, sometimes in the presence of their two children. Moreover, Kevin has a history. Last year, Kevin’s ex-girlfriend filed a police report because Kevin broke into her house and punched her. However, she did not press charges. Kevin would like to point out that Britney is not that innocent, either. About three years ago, Britney pled guilty to misdemeanor battery for slapping her then-boyfriend, Justin. In Illinois courts, there are certain types of statements that are not admissible as evidence in a court of law because they are considered “hearsay.” Generally speaking, hearsay is inadmissible because there is no way to verify the information by cross-examining the witness on the stand, when the witness got the information from another source. These rules apply to family court proceedings, such as cases involving divorce, parentage, custody, and the like. So what exactly is hearsay? Hearsay is defined as “an out-of-court statement offered for the truth of the matter asserted.” It is a statement that was (1) either spoken or written outside of the courtroom, and (2) offered as evidence to prove whether something is true. For hearsay to be inadmissible in court, the person offering the statement in court must intend to introduce the statement not only because it was said or written, but also because it is true. For example, if a witness testifies that, “my grandpa told me it was raining last Monday,” it is hearsay if the attorney who called the witness is attempting to prove that it was, in fact, raining last Monday. Under Illinois law, there are numerous exceptions to the hearsay rule, in which certain instances of hearsay may be used in court. One exception in particular can be extremely important in cases involving child victims under the age of 13.